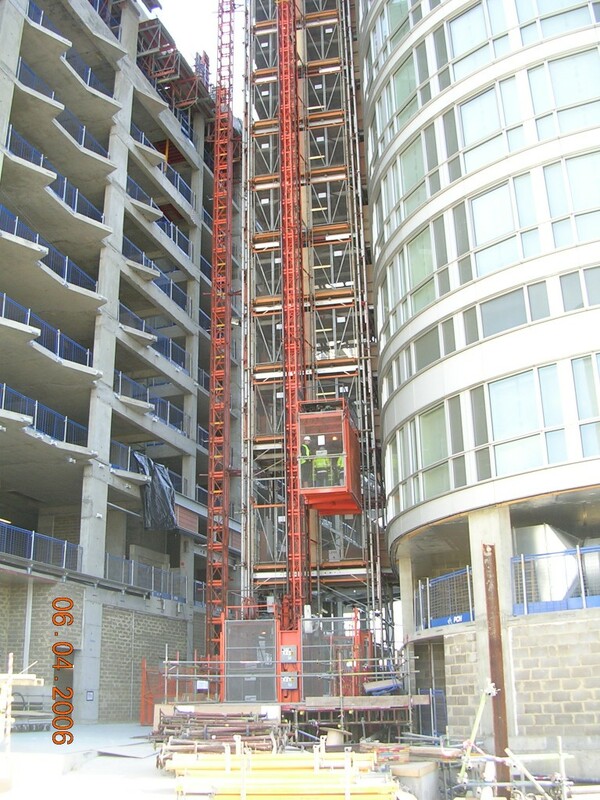 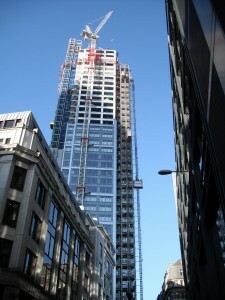 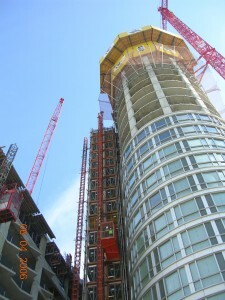 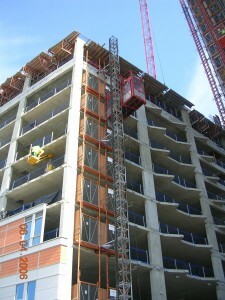 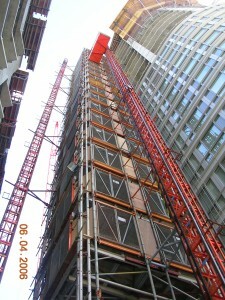 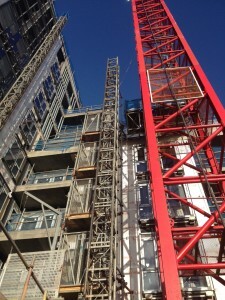 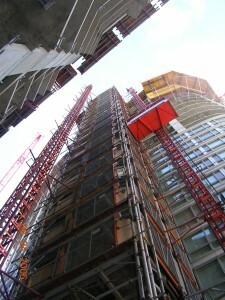 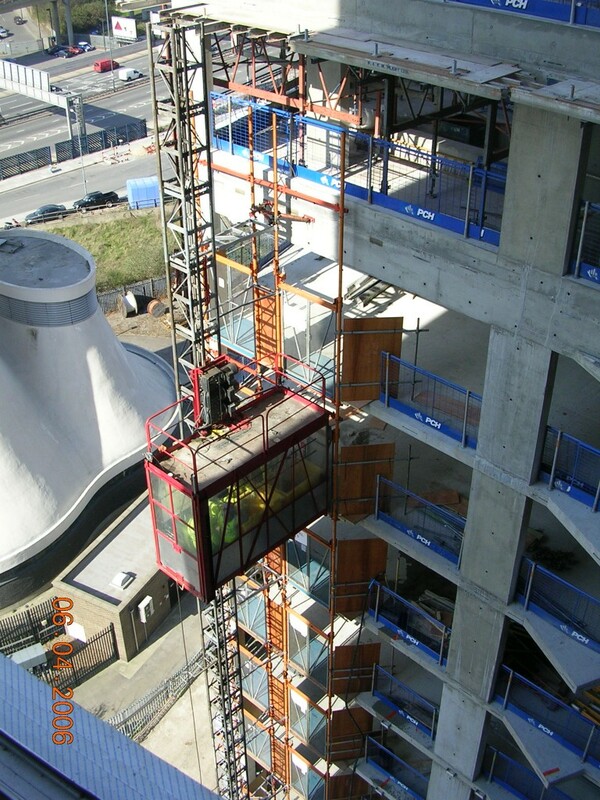 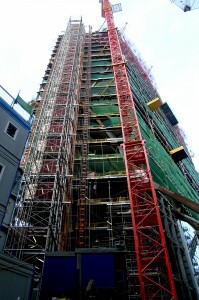 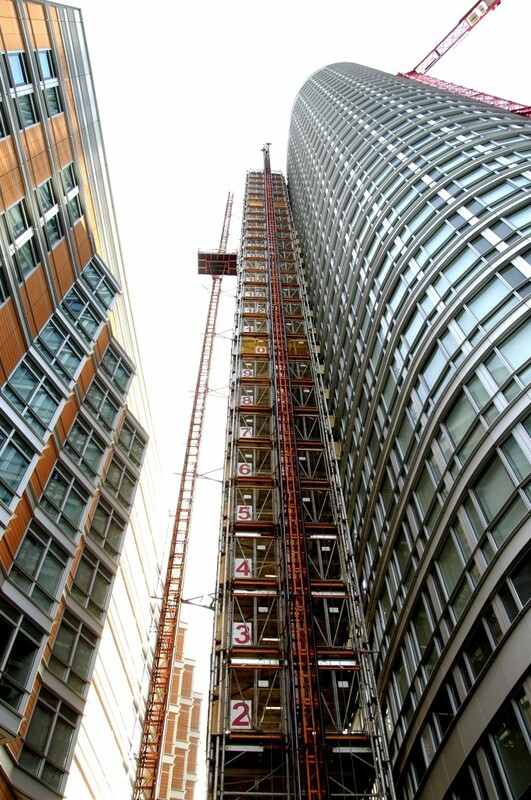 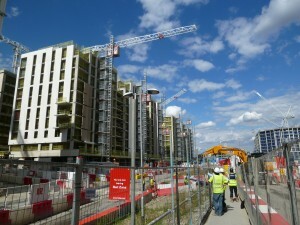 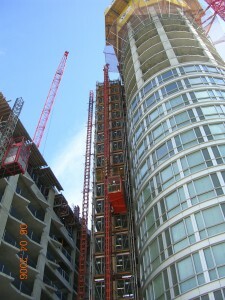 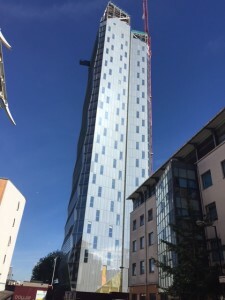 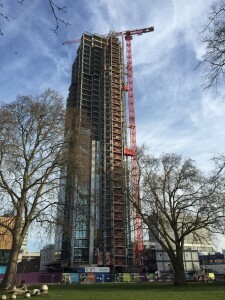 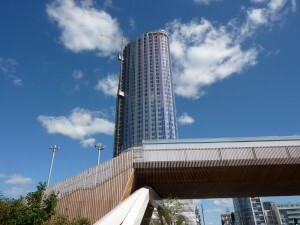 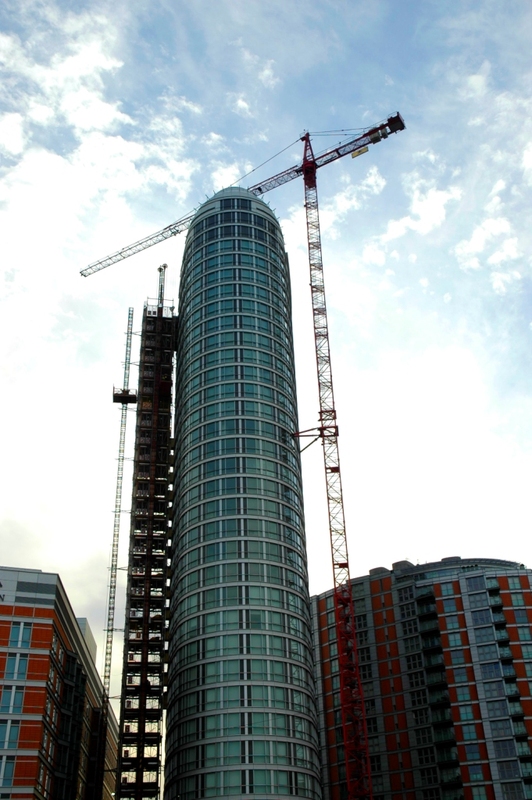 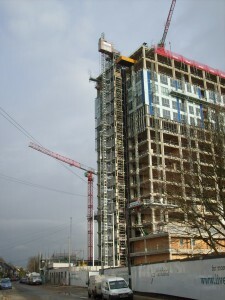 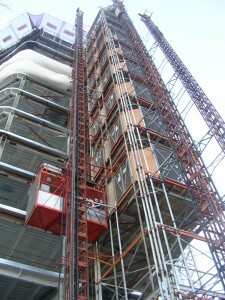 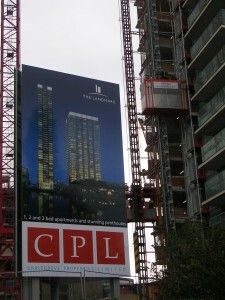 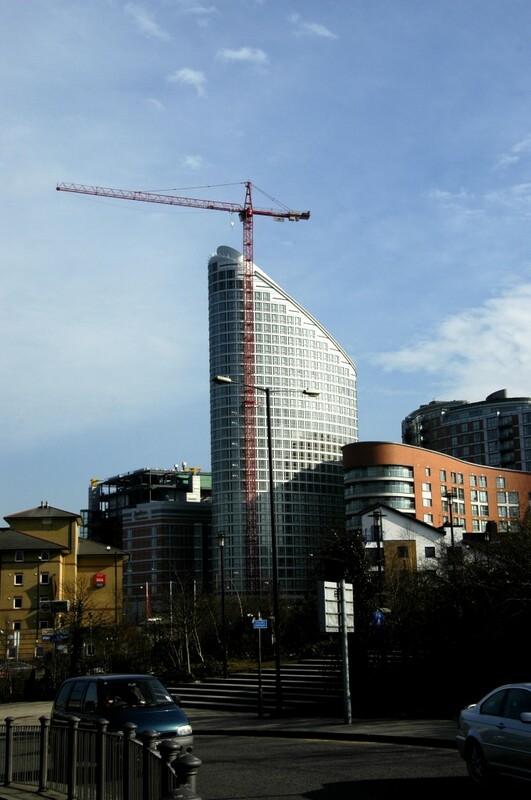 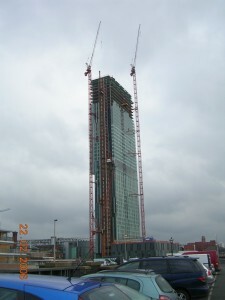 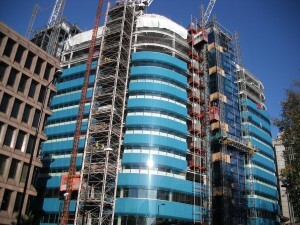 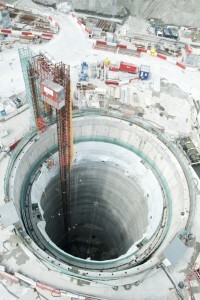 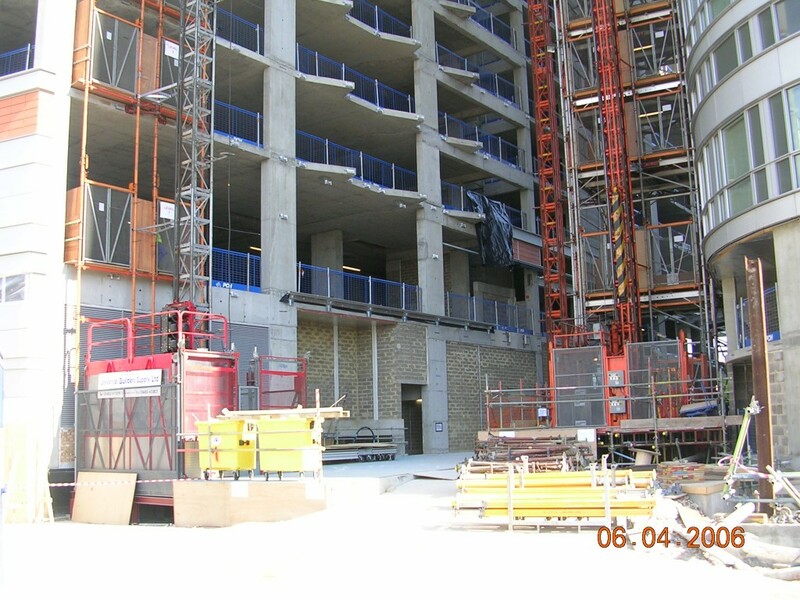 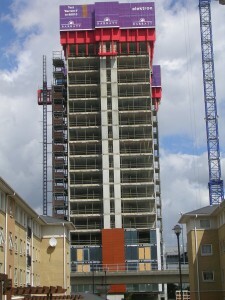 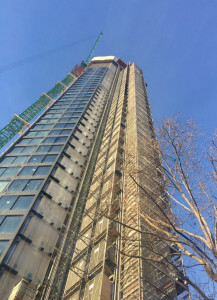 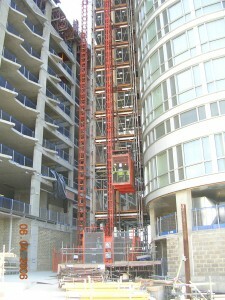 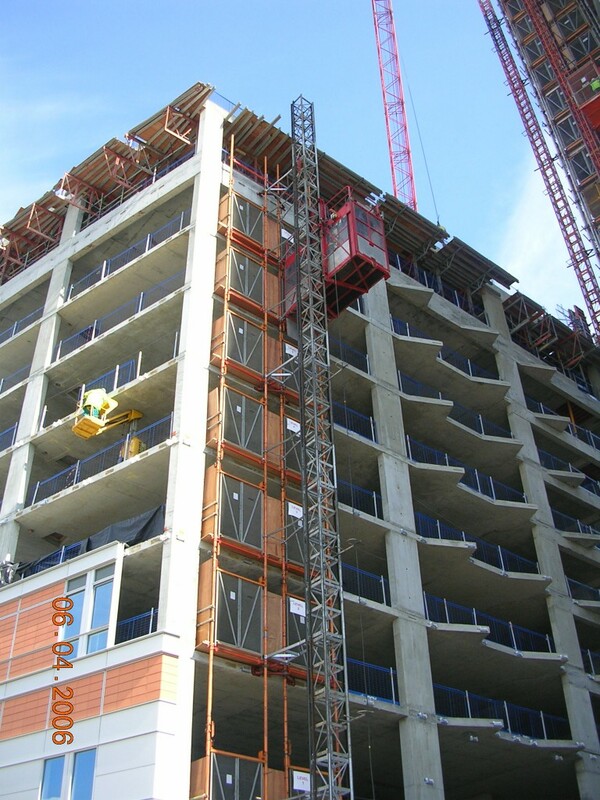 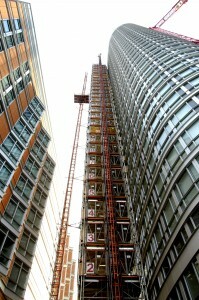 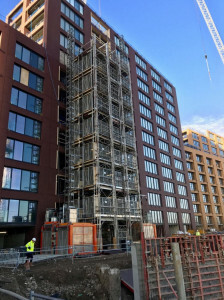 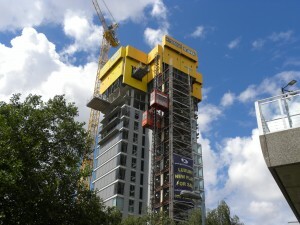 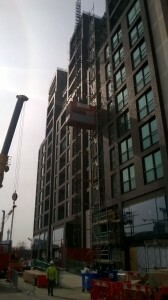 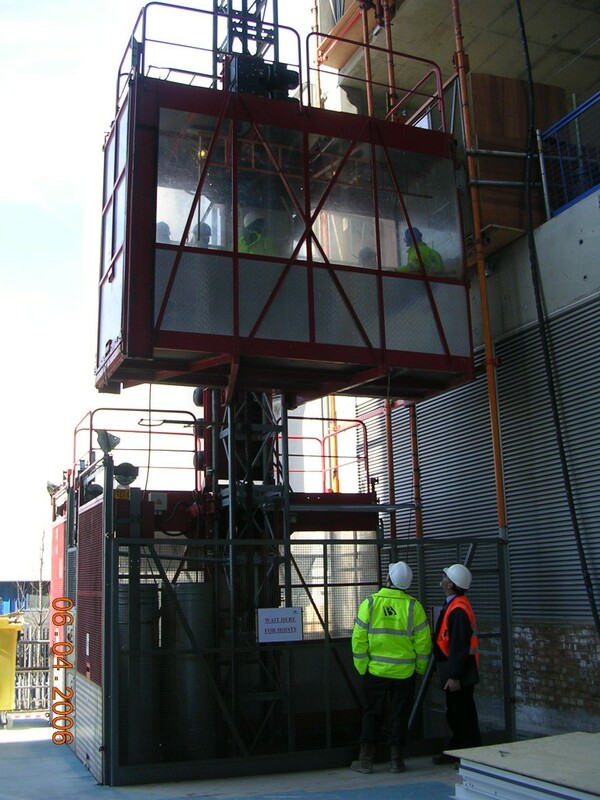 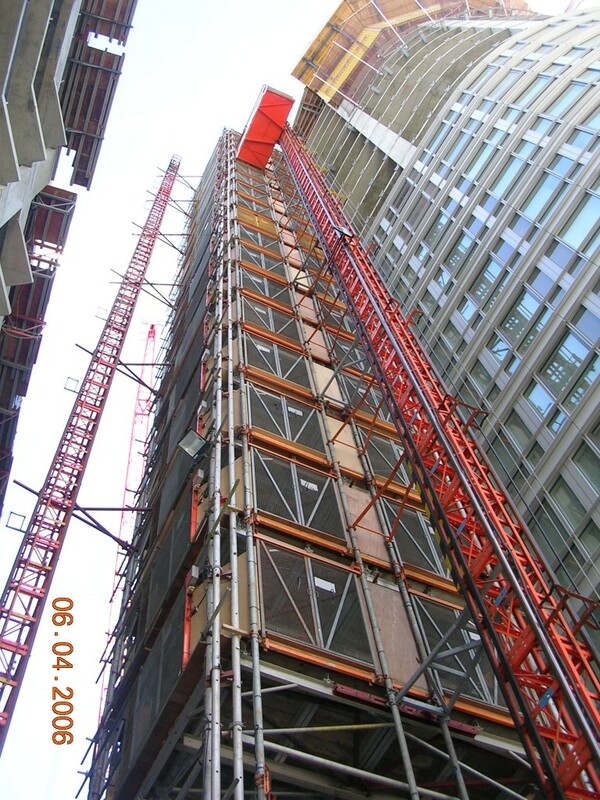 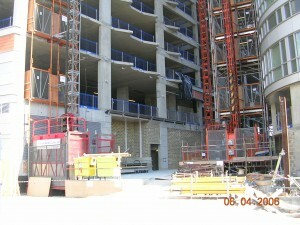 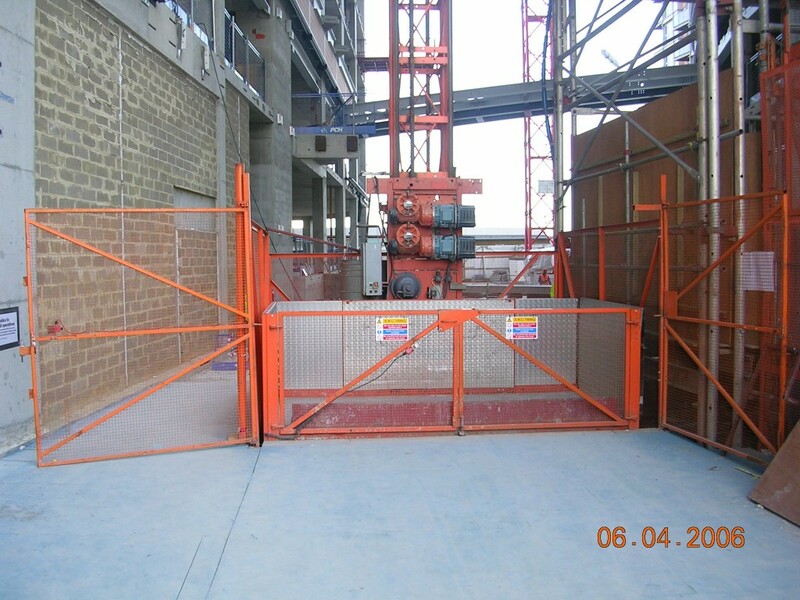 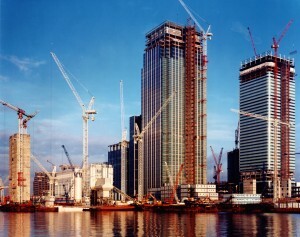 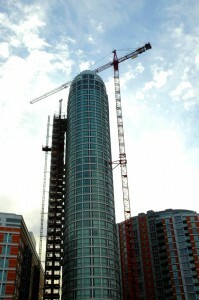 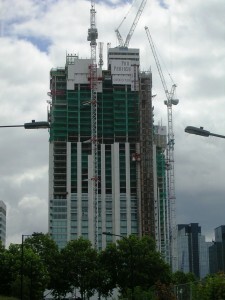 A low profile, high speed hoist system developed UBS was commissioned for the construction of the new 115 metre, 29 storey Ontario Tower at New Providence Wharf in London’s East End. 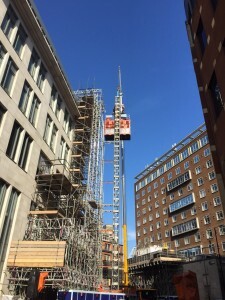 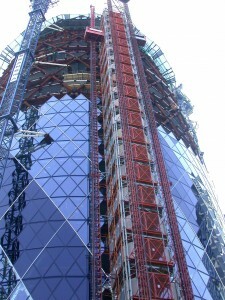 Two high speed passenger and materials hoists each with a payload of 2800kg and an operating speed of 90 metres per minute were used and were arranged arounda common tower with a large side loading material hoist. 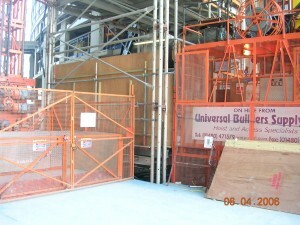 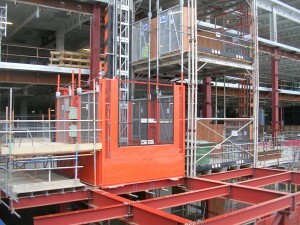 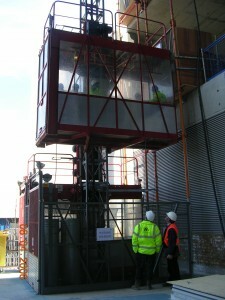 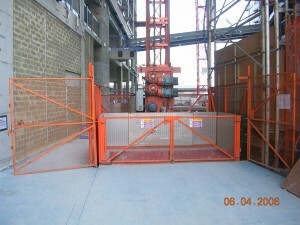 Ontario Tower Single UBS Twin Construction Hoist for Passengers.